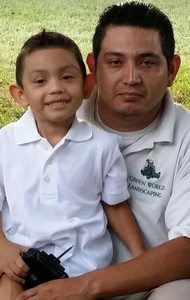 Hi there thank you so much for taking time out of your busy day to learn more about my lawn maintenance company offering lawn care services and yard maintenance to the Baytown Texas area. Let me tell you a little bit about our lawn maintenance company and how we operate. Our lawn company specializes in residential lawn care services throughout the greater Houston area and concentrating in Baytown Tx. We don't really do commercial lawn cutting and we focus on residential lawn care services taking care of homeowners and their number one asset, their yard, home, and gardens. Specializing in residential lawn services is important. Why does this matter? Because many of the lawn cutting services that you will find in Baytown, Tx also do commercial lawn work, and guess what, they are going to prioritize their commercial lawn maintenance customers over the yard work that you are needing done in your lawn. If there's a lot of rain or they have an lawn cutting equipment breakdown or when the spring rush hits every lawn cutting company that does commercial work is going to prioritize their commercial clientele over the residential clientele, it's just a fact of how the lawn care service business works in Baytown. If you're not in Baytown, Tx thats not a problem, GreenPal also covers affordbale lawn maintenance services in Sugar Land TX and provides local yard maintenance services in Humble TX as well. Our landscape maintenance and yard maintenance company specializes in being the most affordable solution that you can hire for lawn maintenance and yard cutting in Baytown Texas. We focus on one thing, keeping our prices for lawn cutting low. How do we do that? The first thing we do is as we focus on NOT cutting the quality of our lawn maintenance service, just the costs. We know many hard-working families and single mothers cannot afford luxury landscape maintenance however need to get their grass cut for an affordable price in Baytown, TX. For instance, we group all of our lawn cuttings and lawn maintenance customers in Baytown into smart organized routes throughout town. For instance if you live by Pirates Bay Waterpark, we will mow your yard with all of our other customers yards in that area along with Red Berry Hill. And if you live on the other side of Baytown by Ash Lake, then we will do the same we will mow you on the same day that we cut everybody else's grass, why does this matter? Because it saves everybody money because we are not driving around wasting time going to individual yards and mowing them as a group. Included in our basic lawn mowing costs are mowing of all your grass, edging the sidewalks, blowing off the grass clippings when we are done, and picking up any sticks in the yard. Also , if you dont live in Baytown we also offer local lawn cutting services in Pearland TX and also offer affordable grass cutting services in Pasadena TX as well. Our lawn maintenance company recently started offering lawn care services to the Baytown Texas area. We primarily service residential yard and lawn maintenance customers throughout the greater Houston area but decided to expand services out to that part of Harris County and service the neighborhoods of Lantern Park, Quail Hollow, Country Club Cove, Country Club Manor, and Allenbrook in Baytown TX. Baytown is known for its good looking lawns and we wanted to be a part of that some small way. What sets us apart from the other lawn maintenance competitors and cheap lawn care services in Baytown is our follow up. Most the time lawn mowing services won't even bother to return your phone call when you are looking for a price estimate and cost for how much it's going to be to mow your yard. We try to treat every lawn mowing customer like gold and so no matter what we always return phone calls within 24 hours. The thing is cool about the GreenPal system is that you can order lawn mowing from us online and now and not have to wait around for a price estimate for how much it's going to cost to maintain your yard. The other thing is that separates our lawn company from our lawn cutting competitors in Baytown, Tx is our professionalism. When we come to your yard to cut your grass we are bringing over $50,000 in lawn maintenance equipment. That's right we will not show up on the cheap Home Depot lawn mower or something like that. If you were looking for an affordable, reliable, and professional lawn care service to maintain your yard for you this lawn care service season then look no further we are it. The third thing that sets us apart from our lawn care service competition in Baytown Texas is our word-of-mouth growth. You could see it as evidence in our lawn care service reviews when you click on our name after we submit our cost for how much it's going to be to mow your yard you will see dozens of other Baytown residents giving us a vote of confidence with a strong review about our lawn care services. We take pride in our lawn maintenance reviews and we make sure that we do a thorough job with each yard that we cut for all of our lawn care service customers. Another cool thing about GreenPal is after we do a good job cutting your grass the first time you can set us up for lawnmowing's for the rest of the lawn care season. Most landscape maintenance companies and lawn maintenance professionals in Baytown will require you to set up a lawn care contract for every seven day mowing. And to be honest we kind of prefer that too, but the cool thing with GreenPal is their system and the lawn care service mobile app will let you book every 14 day lawnmowing. We accommodate this on GreenPal because it's a no-brainer for us and we don't have to worry about trying to remember what weeks to come mow your yard and what weeks not come cut your grass. So the GreenPal mobile app really makes it easier for both of us as a lawn care service and you the lawn maintenance customer. So if all this sounds good just click the button below my name and you will get a free lawn mowing price from us to get started on maintaining your yard for you this year. Thank you so much. We also do lawn care services in Pealand TX and also proudly offer yard maintenance services in Katy, TX as well. My lawn and landscape company in Baytown Texas is kind of a turnaround artist. We specialize in turning around ugly yards and making them beautiful. How do we do that you might ask? Through proactive lawn maintenance and yard maintenance care. If you're online looking for the cheapest lawn care service near me in Baytown, Tx, then we are not going to be a good fit for your yard maintenance needs. 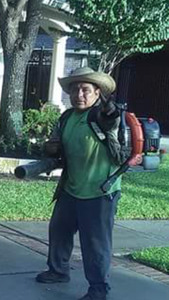 There are plenty of cheap lawn cutters around Baytown to choose from and I'm sure one of them would be happy to mow your yard for $20 or $30 bucks. Our company is a little different, while we do cut grass and mow yards that's not all we do. In fact it's our job and I believe to improve your home’s property values through proactive care of your lawn and landscaping. I read in a recent study that homes in the greater Houston Texas area can increase in value by 20% with a good looking lawn and landscaping. That's where our company comes in. We will renovate your yard and take it from weeds and dirt to lush thick green grass. Now this will not come at a cheap price, and will require an investment on your end of time and resources, however in the long run it will pay off in terms of a lush grass and a beautiful looking on that will make jealous neighbors want to hire us to to maintain their yard as well. 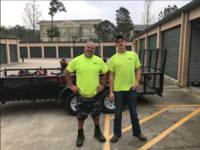 We primarily service around Allenbrook Park and Goose Creek Reserve so if you live anywhere near those areas we can pick you up on a regular yard maintenance route. Now don't let me scare you if you were not looking for all the bells and whistles with your yard maintenance we can tailor that back to a basic lawn maintenance package to include every seven day lawn cuttings, weed removal from your landscaping beds, and pruning of your shrubs one time per month. The good news is all of this can be set up on the GreenPal lawn care service mobile app and each yard maintenance service can be billed individually. Most the time I like to set up my customers on fixed full-service landscape maintenance contracts with 12 equal monthly payments, however my lawn care customers that I service the GreenPal app, I am happy to do so on a per service basis billed through the lawn care mobile app. 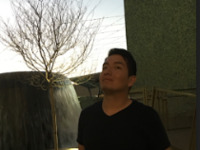 Billing and scheduling is very easy on GreenPal and that's why I use it for new customers in Baytown Texas and my customers seem to like it too so it's a win win-win for both of us. Thank you so much for your consideration of my lawn maintenance company for your yard care services for your home in Baytown, I look forward to meeting with you and being your yard turn around artist. Our lawn care compnay also services yard cutting in Pasadena TX and also offers yard maintenance services in Sugar Land TX as well. Looking for a reliable and fast easy way to order lawn mowing online in Baytown Texas? Well then look no further you have found it welcome to GreenPal, Baytown's easiest way to find, schedule, and pay a local lawn care service in the Baytown Texas area right now. If you need your lawn cut today or tomorrow then I suggest clicking the orange button at the top of your screen to get started with some free lawn cutting quotes from local lawn care services nearby in the Baytown Tx area. Otherwise let me tell you a little bit about how GreenPal works, my name is Gary and it's my job to make sure that you are completely satisfied with your GreenPal lawn care service experience. GreenPal takes the pain out of finding a reliable and affordable lawn cutting service to take care of your grass cutting for you. We do the hard work of wading through all of the lawn cutting services and grass cutting businesses in the Baytown Texas area to find the best lawn maintenance companies that are reliable and affordable. We then set them up to operate their business on the GreenPal lawn care service mobile app which means you can order lawn maintenance from them today very conveniently from this webpage or from the GreenPal lawn maintenance mobile app. How do we know these lawn mowing companies are any good? Because we have inspected over their lawn mowing work they have done for other residents in the Baytown, Tx area. We look over their lawnmowers to make sure that they are sound and commercial grade cutting quality. That's right no lawn cutting services in Baytown get to operate their lawn care business on GreenPal with a Home Depot style cheap lawn mower. After that we have them do an audition yard cutting on the GreenPal mobile app and we look at the quality of their lawn care service work. We make sure they have a professional lawn mowing skills such as creating stripes in the yard, doing a nice job of edging and blowing off the grass clippings when they are done mowing the grass. We also inspect things like weed removal from the landscape beds and also we look at their shrub pruning skills. If all this sounds good to you then go ahead and click going to button to get started with three quotes and you'll get 4 to 5 free lawn cutting prices and you can compare them on your lawn care service pricing list and hire the lawnmowing company that you want to work with based on their grass cutting price and reviews. GreenPal has dozens of certified lawn mowing companies near me in Baytown Tx If you live by the Baytown Nature Center or by Pirates Bay Waterpark then odds are a GreenPal lawn care service vendor can get to your lawn mowing by tomorrow. The city of Baytown Texas is booming in the result is lawn cutting companies are getting busy and booked up so we recommend booking now to make sure you get hooked up with a quality lawn care company to take care of your yard for you so you can get your weekends back. Thank you so much for signing up for lawn care service on GreenPal should you have any questions about your yard maintenance, do not hesitate to reach out. Are you looking for lawn cutting estimates for lawn maintenance in another area of Houston Tx area? No problem GreenPal also has lawn maintenance services in Pasadena TX and has onboarded several affordable lawn mowing services in Sugar Land TX near me. 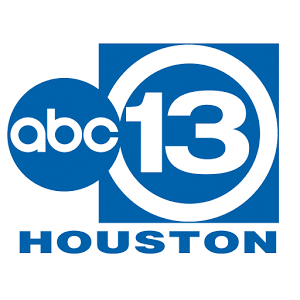 Baytown is a city within Harris County and partially in Chambers County. The area of Baytown began to be settled as early as 1822. One of its earliest residents was Nathaniel Lynch, who set up a ferry crossing at the junction of the San Jacinto River and Buffalo Bayou. The ferry service that he started is still in operation today, now known as the Lynchburg Ferry. Other early residents of Baytown include William Scott, one of Stephen F. Austin's Old Three Hundred, and Ashbel Smith, who owned a plantation in the area. One of Baytown's first babies born was Gertrude Gardner. Baytown's climate is classified as humid subtropical (Cfa in Köppen climate classification system). Spring supercell thunderstorms sometimes create tornadoes (but not to the extent found in tornado alley). Prevailing winds from the south and southeast bring heat from the deserts of Mexico and moisture from the Gulf of Mexico. Yard has not been worked since Harvey. Right now just looking for mowing. property is fenced with electronic driveway gate, there is a 4 x 60 foot section along the frontage to be included with lawn inside fenced property. call for instructions on opening electronic gate. house is vacant and for sale. Yard is open. Would like the back behind the fence as well. Weeds pulled in flower gardens in the front. I like the edges clean and neat from the edging. I only want the front yard mowed. The back gate will be locked. Just want the front yard done. Right side fence is where you go in the back yard. Yard is .33 acre. Just need it done one good time because with all the rain it's gotten a little high for me to want to mess with it. Corner lot. Backyard has unlocked gate that is big enough for riding mower.